EQT Partners has completed its acquisition of SUSE from Micro Focus. The deal was first announced in July 2018 with EQT paying US$2.5 billion for the Linux and open source provider. Under Micro Focus, SUSE had started to become lost, especially after Micro Focus did its deal with HPE for that vendors cloud assets. Now it has the chance for a clean start and has begun by strengthening its management team. SUSE CEO Nils Brauckmann commented: “Current IT trends make it clear that open source has become more important in the enterprise than ever before. We believe that makes our status as a truly independent open source company more important than ever. Our genuinely open, open source solutions, flexible business practices, lack of enforced vendor lock-in and exceptional service are more critical to customer and partner organisations, and our independence coincides with our single-minded focus on delivering what is best for them. 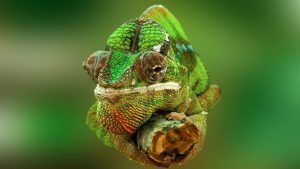 Since the acquisition was announced, SUSE has been on a push to strengthen its position in the wider open source market. It is already a major contributor to cloud OS, OpenStack. That project is currently undergoing a change of focus to become the Open Infrastructure project. This is something that SUSE is supportive of as Terri Schlosser and Matthew Johns told Enterprise Times in a podcast last year. Organisations want a multi-cloud environment and that means portability. One of the challenges of achieving that is making sure that anything they build can be easily ported to another cloud platform. This is what Open Infrastructure is focusing on. It wants to encourage new open source projects to expand the cloud OS and give customers easy portability and choice across the entire infrastructure stack. SUSE has also been active in the developer space. At Cloud Foundry Summit Europe, it announced, along with IBM, new projects for Cloud Foundry around Kubernetes. As the software industry begins to focus on containers and micro services and move away from virtual machines, this is a smart move by SUSE. It will help it expand its own Container as a Service (CaaS) and Cloud Application Platforms. Enrica Angelone, Chief Financial Officer. Angelone has previously held CFO roles at both Octo Telematics and Venere. She becomes the only new hire to the management board. 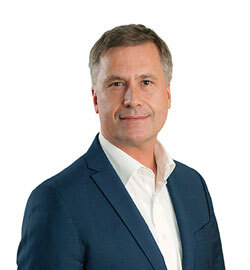 Sander Huyts, Chief Operations Officer. Huyts moves from VP Worldwide Renewal Sales. Thomas Di Giacomo, President of Engineering, Product and Innovation. Giacomo was previous CTO, a position that no longer exists in the new board. Patricia Tobin, Chief of Staff. Tobin was formerly at Micro Focus and moved across to SUSE in 2017 to become Director Program Management Office. Heading up the board is Nils Brauckmann as CEO. At present, EQT appears to have no representative on the board. This is not unusual for EQT who, judging by its other acquisitions, appears to be very hands-off investor. What’s in this for EQT? EQT has a habit of investing in businesses and making good returns. SUSE has done well over the last couple of years but the troubles at Micro Focus meant it was not getting the attention it should have. Like many other private investors, EQT has a large stable of companies who rely on software to do their business. Many of them are beginning to use cloud computing. One question for EQT then is: Will it position SUSE as the cloud platform for its other businesses? Such a move would be interesting. It would increase the value of SUSE and increase the value of EQT’s investment. Another question is: How big a war chest will EQT give SUSE to make acquisitions? There is a lot of exciting projects in the open source space. Grabbing them early is always good but that requires funding and it is not clear, at the moment, what Brauckmann has to play with. The biggest question of all is: Has EQT set a revenue target that will trigger planning for an IPO? 2019 is expected to be a big year for tech IPOs. It is unlikely that EQT would want to exit that fast. A more likely timeframe would be 2021 giving it three years to grow and prepare SUSE. Over the last three years, SUSE has dropped behind Ubuntu, Debian and RedHat. With the IBM acquisition of Red Hat and the potential impact that will have across the IBM customer base, SUSE needs something that will allow it to pop. There is no question that Micro Focus was compromised after the HPE deal. This left it needing to raise funds. Selling off SUSE was an obvious decision. The question is: Can SUSE start to fight back and establish itself as a top three contender in the Linux marketplace? The answer has to be yes. It now has an owner who is likely to invest in the products. It has an engineering department that has already widened its approach. In addition, with Giacomo heading that up, it is likely to announce new products more frequently. One of the challenges for SUSE has always been replicating its success in Europe across other regions. Part of that has been about marketing. Given the focus on containers and OpenStack, the challenge now will be widening its appeal in two areas where it is especially active. We are just two weeks away from SUSECON in Nashville. Expect a rash of announcements and more information on how Brauckmann sees the future of the company. It may even be that we find out what sort of war chest EQT has provided to SUSE for acquisitions.